Tuesday Talk ~ iPhone X or ex iPhone? I remember back when the iPhone first came out, people were saying ‘that’s a ridiculous amount to pay for a phone’. At the time I sanguinely pointed out that the phone part was almost the least-used part of the device for me. It was a camera, a searcher, a maps provider, a recorder, an email and text communicator … I probably made and took one or two calls a week in those days. Sure, iPhone X represents another leap forward, but it feels like a leap forward for the select few. Even though I earn good money these days, by my standards, it feels like a leap too far for me. On the other hand, of course, you need real power to serve AI and VR properly in a convincing manner on a pocketable device. But iPhone 8 ticks these boxes. However, I haven’t joined the ranks of the haters. Far from it. This group of, essentially, tech biggots likes to proclaim the sky is falling in every time Apple releases a new product. You know how it goes: just because they want something doesn’t mean it’s going to happen. But I do feel really critical of Apple’s responses to tax complaints, as I have always made clear, and I feel increasingly critical of the glib Jony Ive, Apple’s rather amazing designer who likes to craft solid gold examples of Apple’s wares for oligarchs. 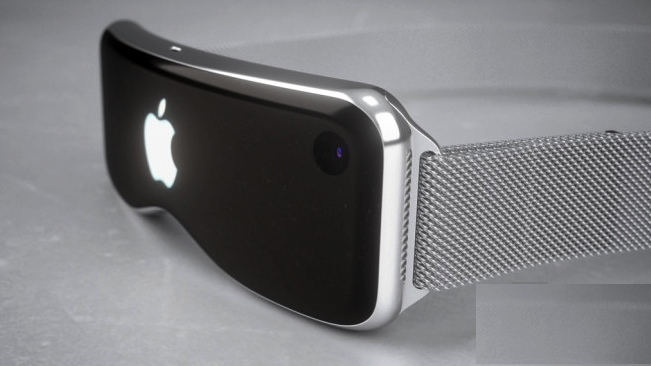 For it looks like Apple is starting to create what appear to me to be Gucci-level geegaws for the ultra rich. We don’t all need or even want a Rolex – I just need a watch to tell me what time it is, actually. And time is moving along. I feel Apple is skating ever closer to a critical tipping point –once the hoi poloi abandons Apple, a few ultra-rich and sanctimonious tax-avoiding a-holes like U2’s Bono (an Apple favourite, and also implicated in the Paradise Papers) won’t be buying enough Apple products to keep the company afloat. Tim Cook’s responses that Apple hasn’t done anything ‘illegal’ doesn’t mean Apple hasn’t done anything clearly, and by most people’s standards, immoral. Apple’s direction looks like it’s increasingly dictated by shareholders. An expensive product gives them higher profit margins. Taking the vision from the visionaries and handing it to the greedy is a terrible idea, Apple. We sure live in trying times. We have tin-pot depots not only controlling odd minor states like North Korea, but major powers (Russia and the US). We live in the kind of surveillance state that would have made Orwell and other visionaries wretch with anxiety, and this surveillance state has only one redeeming feature: we can also surveil. When you walk down the street, there may be multiple surveillance cameras handing you off one to another and tracking your progress, but if something happens in front of you, you can whip out your smartphone and record it too, and in this way these very surveillance authorities can also be held to account. This continues in other ways, too. Even your innocent Snapchat or Insta video could record and reveal details about your life and experiences, if collected or inspected by someone else. One of the men responsible for our personal surveillance tools (iPhones) is Tim Cook. In many other ways, Tim Cook has to contend with issues his predecessor and mentor Steve Jobs never had to contend with. Jobs may have put money into, for example, democratic presidential campaigns, but he never had to deal with a president attacking the immigrant worker base, for example, which may result in nearly 800,000 Americans being cast out of the only country they’ve ever called home, or trying to pass phobic anti-transgender measures while generally just being an ill-tempered big-mouthed gobshite. I mean, we’re used to Republican presidents who appear a bit thick, like Reagan and Bush, but demonstrably deranged heads of major states? Not really since Roman times. It’s hard to say if Steve Jobs would have tried to do anything concrete about these things, but Tim Cook is a very different kind of person. Morally and as an example of human kindness, Cook has it in spades over Jobs’ public persona, at least (I imagine Jobs could be kind in person). You might criticise Cook as lacking product vision (we have to expect Cook is smart enough to employ those, of course) but Tim Cook didn’t elevate himself into the position of Apple CEO: it was Steve Jobs who did that. And Jobs absolutely was a visionary, so we should trust his judgement on that. So, Tim Cook: all the best, good luck and kia kaha. Is an X sexier than a 10? It’s bolder-looking, anyhow, but begs being expressed as ‘Ex’ instead of ‘ten’. I remember how uncomfortable Apple used to be about people saying ‘Oh Ess Ex’ (just say it a couple of times) yet they persisted, I wondered if changing the nomenclature to ‘macOS X’ was a part of the gradually persuasive campaign to get people to pronounce it as ‘macOS Ten’ instead (it used to just be ‘OS X’ but then iOS and watchOS became big players). And should you wait for an iPhone X or spring for an 8? They have many of the same features, Personally, I don’t like phablets as they’re simply too big for the pocket, so the 8 is the natural choice for me for three reasons: it’s cheaper, it’s smaller and it’s available now. I still have an iPhone 6. I bought it three years ago. I took all the pictures in my latest book with it. It’s getting a little shoddy but it still performs perfectly well and I like the slim form factor (virtually the same as the 8). If I can hang on till the iPhone 8s, I will, but it may not last that long. The iPhone 8 is a wonderful phone with an Apple-developed A11 Bionic CPU that blitzes the chips from all them other smartphone makers. That’s pretty compelling, although I have to admit, since I don’t play games on my iPhone, the camera advances are likely to be more useful to me. I have noticed my 6 processing photos quite slowly these days, so I will definitely appreciate more core-power. Apple is using the new A11 Bionic in its iPhone 8/8 Plus models but it’s the same as that in the iPhone X. The scores Geekbench outlines for the three models show some variation between them (less than 5% in single core and around 7% in multicore), likely related to the difference in display resolution and offset by a difference in RAM. The A11 Bionic is 25% faster in single core and 80% faster in multicore scores than iPhone 7. This is particularly noteworthy because Apple’s latest chip delivers new neural net, camera ISP and GPU capabilities above and beyond what a generic processor benchmark measures. With more Augmented and Virtual Reality apps due to start arriving soon, thanks to Apple’s ARKit promotion, this performance will become ever more useful. I guess this all begs the question ‘are we excited about iPhone 8 and X?’ I don’t know if ‘excited’ is the right word for me, but that normally happens once an Apple expert talks me through a new device. These are very solid improvements, no doubt. I have always lauded Apple’s dedication to improving things and making them more useful. On that spectrum, these are pretty dramatic advances. I’m really looking forward to a new iPhone for myself, for sure, and it’s not like me to imagine waiting another 12 months for something I really want and need, so we’ll see. For me, the 8 ticks all the boxes. But do I understand the allure of the iPhone X model? I have to say no, for the same reason I don’t ‘get’ Porsches. They’re technically amazing, for sure, but you can’t drive them anywhere near their performance, so what’s the point? Apart from showing off. I’ve never been one to own things merely to show off, and to me so far, at it’s ridiculous price point, the X hints more of that. I don’t believe this is just reverse-snobbery, by the way. I like to use something to at least 50% of its capabilities. Driving a supercar on a New Zealand road, you’re getting 20% of its potential at best. Paying a premium to do that is very far away from common sense. I feel the same way about an iPhone X. At least there are no speed limitations for it, but very few iPhone users will be pushing it to anywhere near its potential. 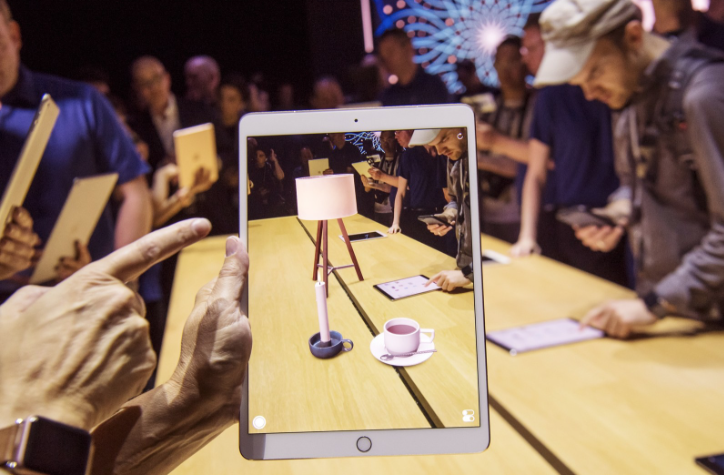 The problem with Augmented Reality is, simply put, processing power, but this is something all smart and tablet devices are steadily overcoming. That said, even ten years ago there were some genuinely interesting and effective examples of augmented reality. Indeed, it was the buzz back then, but what happened? Pokémon Go, if anything, is what put it back on the table. Apple is taking it really seriously now, too, with the release of ARKit, which helps developers create augmented reality apps. 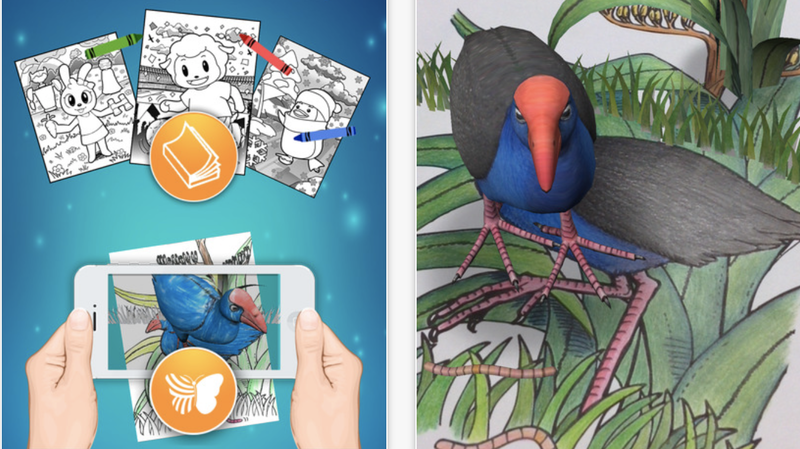 Augmented reality places extra content over an overlay usually served by the device’s camera: hold your phone up, for example, over a street scene and see additional information overlaid, or a historic site as it looked in the 1880s. Or try new furniture in your own lounge, or impose fantastical storylines on existing scenes, or play dress-ups. Once again, apps like these were available ten years ago already. But releasing ARKit really boots along the whole franchise. New Zealand companies have long been strong in this realm too, for example Quiver which has been making strong, effective AR content from long before ARKit arrived. Apple has made other interesting forays too, of course. Another developer kit is HomeKit, and we saw HomePod announced at WWDC. This little round speaker is easy to write off as ‘just another’ networked speaker, but we won’t really know its full potential until it’s released, of course. But what it will actually do is enable all your Apple devices: your iPads, iPhone, Watch and Mac, to be expressed audibly, tying them all together in useful ways. HomePod will also connect to door chimes, thermostats, garage doors, air conditioners, electrical outlets and more. Literally, you could soon be controlling everything you interact with via your iPhone in your pockets, and you may be able to say things like ‘Open front door’ to your HomePod as well. Perhaps most interestingly, HomePod will work with energy management technologies: imagine a future where your solar roof panels power all these devices and you interact with them via HomePod, including managing your Apple home battery (Tesla has already entered this field – a home battery stores the day’s solar energy so you can use it at night, and not just when the sun is shining). So, what about Artificial Intelligence? A cuddly pod we can all understand: talk to it, and it responds, and plays music … Artificial Intelligence is another story. You know, it’s intelligent. I have always imagined, thanks to a steady diet of sci-fi growing up, that if anything with any power had the same or better intelligence the us, it would (very sensibly) want to get rid of us. Look at us! We’re idiots. We’re wrecking our home planet and voting for even worse idiots than us. Am I being crazy? Facebook’s AI program developed its own language, and humans couldn’t understand it. This all went a bit sideways when Facebook’s scientists and engineers realized they couldn’t understand their own chatbots. So Facebook had to shut them down. Yikes! Ten years of iPhone, crikey. Apple did not invent the smartphone, no. 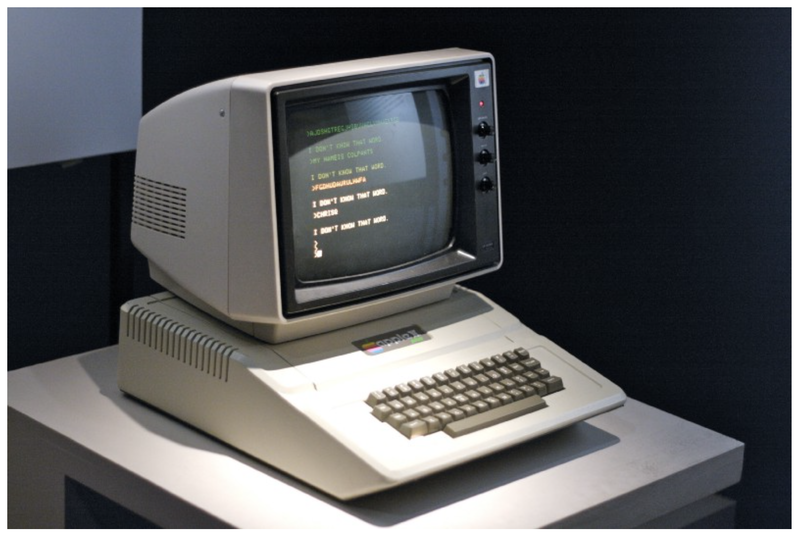 Apple made the smartphone usable, just like it did with the Mac as regards the PC industry back in 1984. Apple doesn’t need to invent new platforms, it just needs to keep making them meaningful to us. Before the Mac (even though Apple was dabbling in this territory with Apple computers that predated the Mac) you had to pretty much type instructions to send a page to a printer. If you wanted a bold header, you had to type in code that directed it to bold the header. You didn’t know if you got it right till the page printed. Apple put visual clues on the screen to help us get tasks done: folders looked like actual paper folders, files looked like paper documents etcetera. This seems obvious to everybody now, but back then, it was revolutionary. It looks obvious now, because everybody copied it. That’s Apple’s true strength, in my opinion. 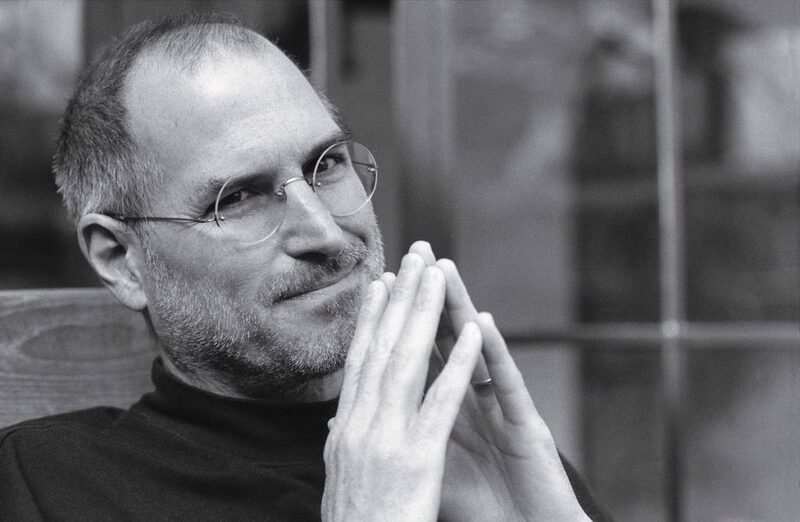 If you truly love your smartphone by Samsung, HTC or whatever, and you think it’s far superior (or at least cheaper) than iPhone, well great – where would you be without Steve Jobs’ vision to make that first iPhone ten years ago? There’s considerable pressure for Apple to do something spectacular this year because it’s the tenth anniversary of iPhone. I’ve been saying this too, but actually, I didn’t mean Apple might bring out something with a laser death ray, dancing virtual elephants, a teeth-cleaning facility and a cure for baldness, no. I just meant Apple would probably change the physical attributes of the phone. The 6 and 7 are basically in the same cases; the 10th anniversary model at least deserves a new design, and perhaps even better screen tech (OLED seems most likely). When you think about it, a smartphone can only be designed so far – it needs a charge port, visible or not, some way of attaching earbuds (visible or not) and buttons for volume, sleep, mute, and it needs a large screen as most of the interface functions are via touch-screen … and it all has to fit in your pocket. Apple’s been toying with cable-free (EarPods) but who knows how far this will get o this year’s model? I haven’t been posting what the new iPhone will have and look like, unlike even the NZ Herald, because this is all speculation and rumour and doesn’t deserve the attention it has been receiving. The big changes over the years have been the motion coprocessor, Touch ID and 3D Touch. Ape has been playing with, and acquiring, all sorts of AI, AR and VR technologies, but Apple looks way ahead. Jobs conceived the iPhone 25 years before it was possible to make it. Will iPhone 8 be great? Yes, because the 7 is, the 6 was, the 5 was … all the way back to 2007 when the first iPhone came out, Revolutionary, beautifully built, life changing. What more could you ask for? Tuesday Talk ~ Are we happy yet? Yes we are! For months now, commentators have been lambasting Apple for not updating Macs and for ignoring the pro users. I have regularly been a minor part of that pool of despond in this column. No more! We’re (mostly) happy. Apple’s June 5th WWDC hardware announcements delivered a gulp of elixir – the Apple Koolaid was back and we were slugging it down. For a heady day or two, anyway. I immediately, gleefully ordered a 15-inch MacBook Pro with Touch Bar. The Kaby Lake CPU was the tipping point I was waiting for. It wasn’t even that Kaby Lake gives a significant increase of power – it doesn’t. It’s just that I didn’t want to drop cNZ$5k onto a new Mac without Kaby Lake when I knew it was available, and already populating many PC models. I can hardly wait for my new Mac to arrive, since my current model is 5 years old – that’s a very long life for a Mac for me (and truth be told, it’s still a wonderful laptop). But the really big news, for the pros, was the iMac Pro. 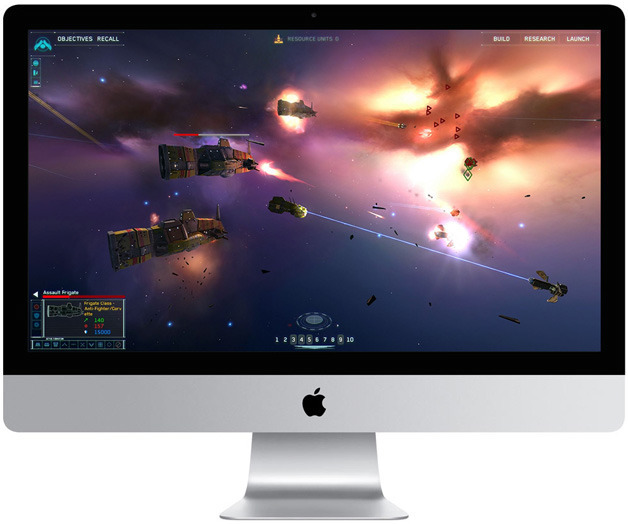 Although this will cost over NZ$8000, by current exchange rates, it’s not for the typical iMac users – they have been catered to with new iMacs anyway, with even better screens and Kaby Lake and at much more affordable prices. Even these will very handily handle major Apple Final Cut and Adobe Premiere tasks without breaking a sweat. But the iMac Pro is aimed at the very serious user, as the bedrock to, for example, an audio, audio visual or video/TV/film editing studio, and although that’s a lot of money, hey, it already has a fantastic screen and has real grunt. 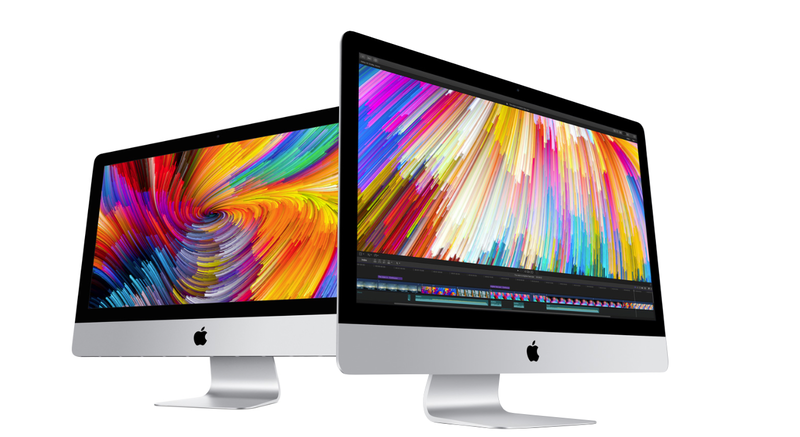 Even more interesting, perhaps, is that unlike the current Mac Pro (tower), it’s almost impossible to put together a similar PC and monitor setup for less than what the iMac Pro will cost – in fact, Apple’s new machine, due in December, is actually a bargain. And despite it, Apple has also announced it is working on a new, user-upgradeable Mac Pro tower. Good timing, too, since for the first time in a long time, it looks like the PC market will start growing again. So yes, Apple, were happy – and, sincerely, thank you! But … no word on the Mac mini. If Apple’s keeping it in the Mac lineup, surely it deserves Kaby Lake? 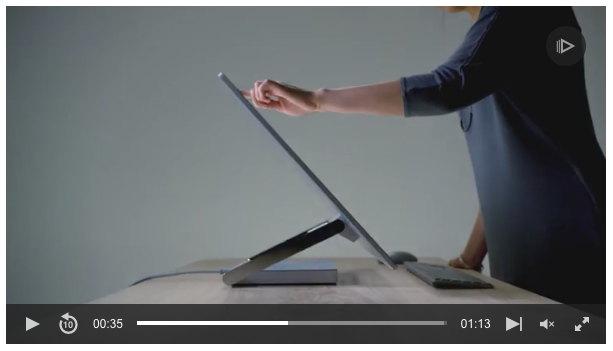 No Magic Keyboard with Touch Bar – this looks like a brilliant idea, and you’d expect it if the Touch Bar is appreciated on MacBook Pro, but I suspect the connectivity and functionality over Bluetooth might be the stumbling block. I still want one, though! If you have one on your MacBook Pro and then go to use, say, Final Cut on a Mac, surely you want that feature? And no iBooks Author update. Apple has let its brilliant and dreadfully under-appreciated eBooks platform languish far too long. Still — a new iPhone has still to emerge (September, people reckon). Apple will doubtless have more news for us as the year progresses. 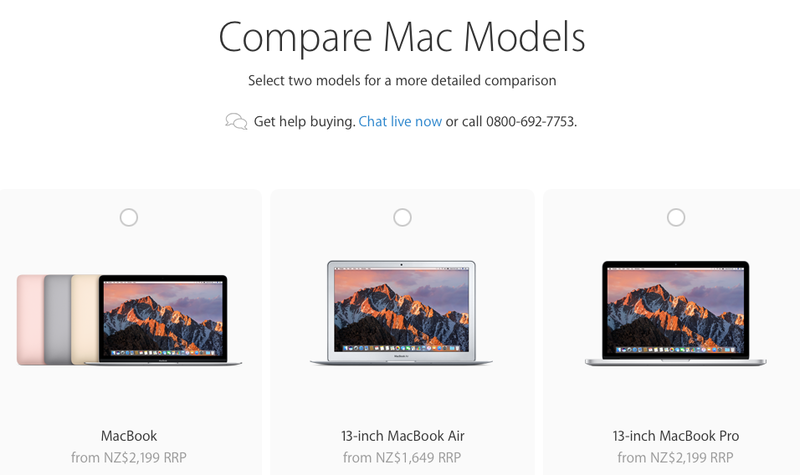 For Mac users, the happy times are here again. I feel Tuesday Talk has become a moan-fest about what Apple could be, its failings and what the Inc could do better. It didn’t used to be this way – when I used to write about Apple for the New Zealand Herald it was to continuously trumpet Apple’s successes. Apple is still ‘successful’ in that it has a global presence and makes tons of money, of course, but for the last two years Apple seems to have been focussing its energies and resources on … gosh, I don’t know what. Not tech and innovation anyway. At least not visibly. Apple Watch just turned two, and I was always amazed by this product, mostly because it had serious competitors out there in the market place before it was even actually a product. Rumours of the Apple Watch sparked companies to create smart watches that would be ‘better’ than ‘anything Apple could produce’ … except Apple hadn’t produced anything. That’s pretty incredible power right there. But was Apple Watch the last really innovative thing Apple did? The Watch is beautifully built, and much more useful than you’d think at first sight. But Apple lost control of the market for a device it hadn’t even released, then had to work to regain the market it had itself created. Apple did, eventually, but this was a bizarre situation that it inadvertently orchestrated for itself. Since the Watch introduction, Mac lines have languished; iPhone has had some regular updates that haven’t been groundbreaking but definitely very good; iPad has had some regularising updates and its lineup has been refined. But for the rest, Apple now has to do something truly incredible at the World Wide Developers Conference in June on more than one front. The tech world will be focussed on Apple like never before. But why has Apple been acting this way? That’s what I can’t work out. John Gruber, who I interviewed a few years ago in Wellington, reckons Apple’s team focus has been too much on iPhone. Sure, under Jobs, Apple would focus its key team members on different projects one after another: a project would get the love, then the love would get moved on to another category. This approach made perfect sense when Apple was lean, a little desperate and lacked resources and power – but now that Apple has resources and power to burn, this approach no longer makes any sense. At all. Frankly, I’m amazed Apple is still doing this. Indeed, Bryan Chaffin reckons Apple’s Achilles heel is the leadership team’s slavish devotion to maintaining a tiny executive inner circle. This appears to have led to positional nest-feathering and structured, impenetrable ennui. We are supposed to be impressed when Cook, Schiller et al even talk in public, when I’d rather see them releasing new products. I actually don’t care who these people are, they’re not my Apple rock stars. Apple’s products should be. Even Virtual Reality … sure, I’m excited Apple has set up an AR/VR lab in Wellington, New Zealand. Who wouldn’t be? But really? Google, Microsoft and other big players have been exploring this space for years already. Does Apple really think a white headset with an Apple logo on it at twice the price is all Apple is capable of? All we expect? I really, really hope not. Apple needs to work hard to be a relevant player in this space if it’s going to enter it at all. Apple has been publicly ignoring virtual reality while hiring and acquiring experts at an impressive rate. Meanwhile, Apple as a gaming platform has had some remarkable successes in iDevices, yet it’s still largely ignored on Mac as it has been for decades. This shouldn’t matter to people who use Macs for anything but gaming, but it does: Macs still have second-rate video cards compared to cheaper PCs largely because it can’t be bothered to attract decent games, which challenge and raise technical specs on PCs. This is galling – yet it has always been galling. Which doesn’t mean it shouldn’t be changed. It’s also galling because virtual reality games will explode. So I have one message, Apple: please, please get your sh_t together! I’d much rather be writing positive commentary.